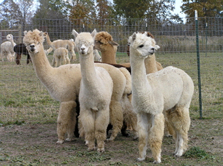 A photograph taken by Christels showing some Alpaca. 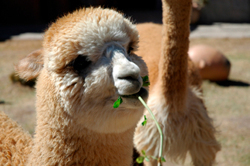 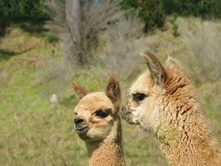 In the forefront is a brown colored Alpaca, with a little white spot on its forehead. 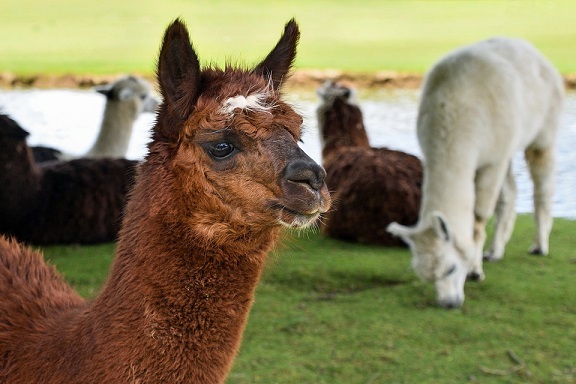 In the back we see some other Alpaca resting and a white Alpaca feeding on the grass.